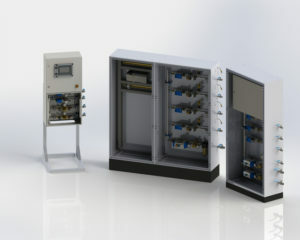 Worldwide FC Technik installed gas control system in the past 25 years. 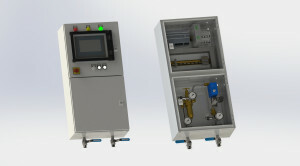 Systems: Chlorine – Nitrogen gas mixing systems and gas control systems for porous plugs and lances with Chlorine mix gas and Nitrogen. 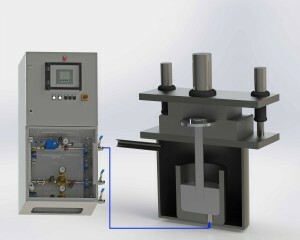 Aluminium purging system for low pressure die casting furnaces. Fully integrated in the casting system the purging gas is controlled automatically in accordance with the casting process. Gas control station for a porous plugs system in an aluminium furnace bottom. Systems: Chlorine - Nitrogen gas mixing systems and gas control systems for porous plugs and lances with Chlorine mix gas and Nitrogen.